On Tuesday, 22 July at 18:30, I will be giving a public talk at Artpace in San Antonio. The lecture is the first part of my studio tour of Texas organized by Artpace as part of my guest curatorship for their 2015 summer residency program. 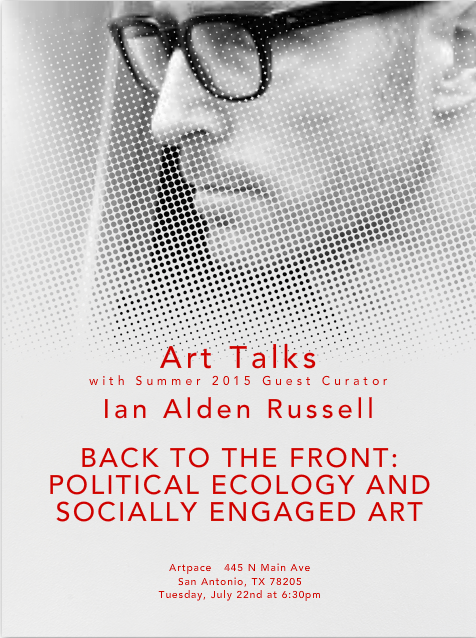 I will be talking about political ecology and socially engaged art. All are welcome.